If you are interested in submitting a manuscript to Beacon Press, please view our submissions guidelines. For publicity, contact publicity@beacon.org. For marketing, contact marketing@beacon.org. For production, contact production@beacon.org. 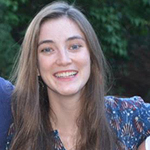 Haley Lynch, Assistant to the Director: Haley earned a BA in Comparative Literature at Hamilton College and graduated from the Columbia Publishing Course in 2017. 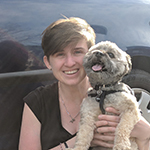 She interned with the Zachary Shuster Harmsworth literary agency, Da Capo Press, and worked at the Kneerim & Williams literary agency, before joining Beacon Press in July 2018. Read the Publishers Weekly profile on Gayatri by Judith Rosen. Read her staff profile on our blog series “Beacon Behind the Books.” Follow her on Twitter at @gpatnaik1. Read Kirkus Reviews’s Q&A with Rakia. Follow her on Twitter at @rakiathegreat. Melissa Nasson, Esq., Contracts Director, Director of Beacon Press Audio: Melissa Nasson joined Beacon Press in 2013 after finishing her law degree at Boston University and interning at the Zachary Shuster Harmsworth literary agency, The Perseus Books Group, and Volunteer Lawyers for the Arts of Massachusetts. She handles contract negotiation for Beacon, as well as project managing all audiobook publication under the Beacon Press Audio imprint. She lives with her husband Amory and their tortoise Norton in Brighton, MA. 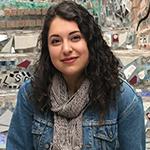 Molly Velazquez-Brown, Editorial Assistant: Molly joined Beacon in 2017 as an assistant to Editorial Director, Gayatri Patnaik and Executive Editor, Amy Caldwell. 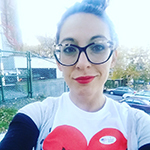 Originally from Cambridge, MA, she earned her Bachelors of Arts degree in Writing, Rhetoric, and Communications as well as Psychology from Syracuse University. 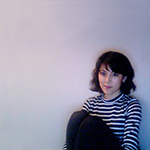 Maya Fernandez, Assistant Editor: Maya Fernandez joined Beacon Press in 2016 as the Assistant to the Director. Originally from Medford, MA, she earned a Bachelor of Arts from American University in Washington, DC, where she studied Literature, Creative Writing, and Sociology. 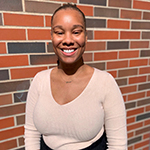 Olivia Bauer, Editorial Assistant: Olivia joined Beacon in 2019 as the assistant to Senior Editors Rakia A. Clark and Joanna Green. Originally from White Plains, NY, she earned her Bachelor of Arts from Dartmouth College, where she studied English and Education. 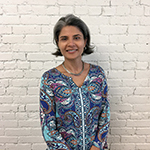 Sanj Kharbanda, Director of Sales and Marketing: Sanj joined Beacon in 2017 after holding executive positions in marketing and digital strategy at Houghton Mifflin Harcourt. 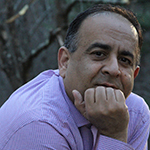 Sanj is a forward-thinking and versatile manager who thrives at the intersection of books, marketing, and technology. He is a former bookseller and was the manager for Wordsworth Books in Cambridge, MA. 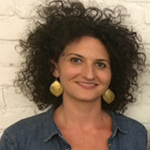 Alyssa Hassan, Associate Director of Marketing: Alyssa has been at Beacon Press since 2006. Prior to that, she worked in marketing for other progressive, nonprofit organizations and publishers including South End Press, Z Magazine, and Dollars and Sense. Her gravestone epitaph will read, “It’s A-lee-sa.” Follow her on Twitter at @alyssahassan. 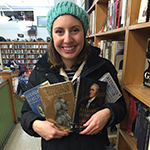 Emily Powers, Associate Marketing Manager: Emily joined Beacon in 2016 after three years at Cornell University Press. 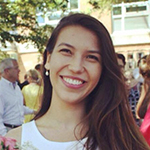 Previously, she worked as an intern at the UN Refugee Agency and Harvard Common Press. She is a graduate of Le Moyne College. Follow her on Twitter at @emilykpowers. 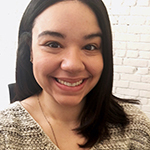 Isabella Sanchez, Assistant to the Director of Sales and Marketing: Isabella joined Beacon Press in 2018 as the Assistant to the Director of Sales and Marketing. 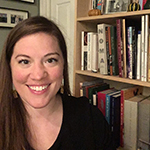 She received her BA in English from Boston University in 2018, where she worked as a Research Assistant for the Director of Museum Studies and as a Writing Fellow. She is particularly fond of podcasts and reading five books at once. Jennifer Canela, Sales Assistant: Jennifer was an intern at Beacon Press before joining the sales and marketing team. She is a graduate from the University of Massachusetts-Boston with a BA in English and Professional Writing. While in school, she worked with two distinguished arts and creative writing journals, transcribing print to digital media. She is a proud Latina, a lover of words, and a firm believer in knowing the rules before you can break them. Sometimes she talks exclusively in puns. 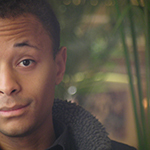 Christian Coleman, Associate Digital Marketing Manager: Before joining Beacon in 2015, Christian worked in writing, copy editing, and marketing positions at Sustainable Silicon Valley and Trikone. He graduated from Boston College and the Clarion Science Fiction & Fantasy Writers’ Workshop. Follow him on Twitter at @coleman_II. 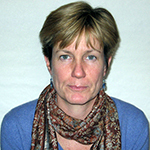 Pamela MacColl, Director of Communications: Pamela has been the Communications Director at Beacon Press since 1999. Before joining Beacon, she held positions at Random House, New American Library, The Scribner Book Company, and MacMillan. She served as a publicity consultant to St. Martin’s Press, Random House, and Simon and Schuster. 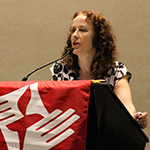 While at Beacon, Pamela has worked with a wide range of authors, including Marian Wright Edelman, Michael Patrick MacDonald, Rashid Khalidi, Robert Reich, William Ayers, Anita Hill, Danielle Ofri, Eboo Patel, Reverend Dr. William J. Barber, II, Cornel West, Lani Guinier, Marcus Rediker, Sheryll Cashin, and Jeanne Theoharis. Pamela and her husband raised their three children in Providence, RI, where they still live with their elderly tuxedo cat, the esteemed Mr. George. 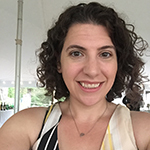 Caitlin Meyer, Publicity Manager: Caitlin joined Beacon Press in 2008. 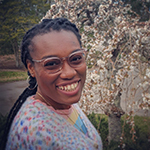 Previously she worked as a Copywriter at both a boutique advertising agency and a large academic publisher, and as the Communications and Public Relations Manager at the educational non-profit Facing History and Ourselves. She received her BFA in Writing, Literature, and Publishing from Emerson College, and has led workshops in short story writing and book publicity. Areas of professional focus include (but are not limited to) feminism, science, environment, race and society, and American culture. She is also the exhausted parent of a small human. You can find her on Twitter at @NotNerdEnough. 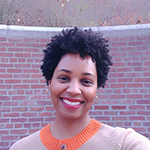 Perpetua Charles, Associate Publicist: Perpetua Charles joined Beacon Press in June 2015. She is a graduate of Florida Southern College and earned her MA in Publishing and Writing from Emerson College 2015. 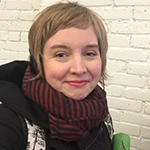 Michelle Betters, Publicity Assistant: Prior to joining Beacon in 2018, Michelle worked at Ploughshares Literary Journal, Boston Review, and Trident Booksellers. She holds a Master’s degree in publishing and writing from Emerson College and a BFA in poetry from Pratt. She tweets about books and dogs at @mbetterpeaches. 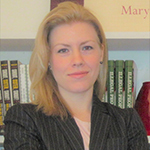 Marcy Barnes, Production Director: Prior to joining Beacon in 2011, Marcy held posts at Harvard Education Publishing Group, Harvard Business School Publishing, Elsevier Science, and Addison-Wesley Professional. 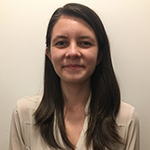 She has an MA in Information and Library Science from Manchester Metropolitan University (UK) and a BA in English and Sociology from the University of Leeds (UK). 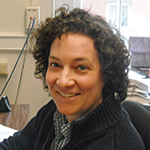 Susan Lumenello, Managing Editor: Susan joined Beacon Press in 2008. She is a graduate of Tufts University and the Bennington Writing Seminars. Beth Collins, Production Manager: Beth joined Beacon Press in 2008. 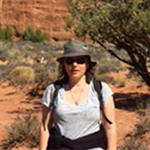 When she’s not making books, Beth enjoys biking, skiing, and discovering new candy from around the globe. She is a graduate of Mount Holyoke College. 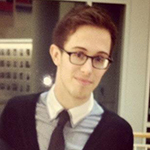 Daniel Barks, Print Planning and Digital Production Manager: Daniel joined Beacon in 2013 with extensive indie bookstore background having worked in management at both Left Bank Books in St. Louis and Harvard Bookstore in Cambridge. He is a graduate of Washington University in St. Louis. 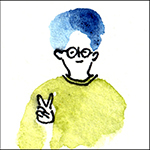 Carol Chu, Creative Director: Prior to joining Beacon, Carol was Creative Director at Houghton Mifflin Harcourt and has designed and art directed a variety of books for a variety of readers. She has a Master’s in design from the Pratt Institute and has a BA in Journalism. When she’s not in front of a Mac, she’s illustrated three books, authored two, and translated one. She’s partial to well-kerned lettering and enjoys a good glyph. Her favorite color is PMS 032c. 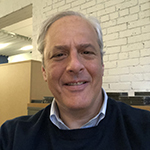 Clifford Manko, Chief Financial Officer: Cliff joined Beacon Press in 2016 as CFO. Prior to Beacon, Cliff was Senior Vice President of Finance at Houghton Mifflin Harcourt and Vice President of Finance at Cengage Learning. He began his finance career at Ernst & Young, where he was a CPA and audit manager. Cliff is a graduate of Cornell and NYU Business School. Read his staff profile on our blog series “Beacon Behind the Books.” Read his profile piece on the American Historical Association’s blog. 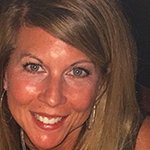 Jill Dougan, Business Manager: Jill has twenty-nine years of experience in publishing, previously working with Houghton Mifflin, Pearson Education, and MPS North America. Jill’s previous experience includes rights and permissions work, author royalty management, contract negotiation and administration, and other financial capacities. Jill has a BS in Business Administration from Eastern Nazarene College. She lives in Abington with her husband and two daughters. 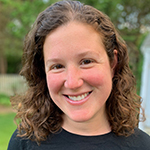 Claire Desroches, Business Operations Analyst: Claire joined Beacon Press in 2018 after several years of managing a small boutique hotel. She graduated from Northeastern University, where she earned a dual major in English and Religious Studies.